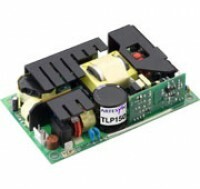 The TLP150 ac-dc power supply series offers a power output of 150 watts and comes with either a 12 or 24 V output and universal 85 – 264 input voltage. Its 3” x 5” x 1.25” form factor makes it suitable for use in low-profile applications. The TLP150 series is ideal for systems that implement distributed power and point-of-load architectures. It can be used to power electromechanical devices and for systems that require ‘standby’ operation. A medical version of the TLP150 is available for non-patient contact applications. Size (L x W x H):5.000" x 3.000" x 1.250"